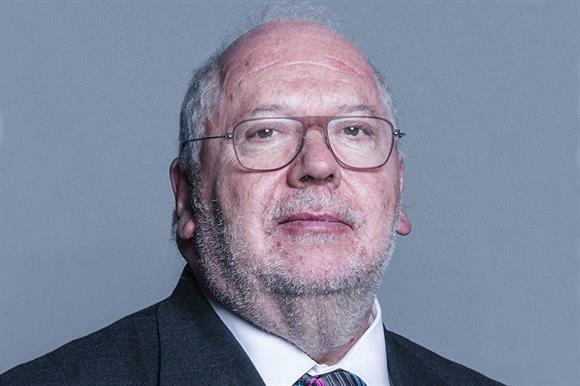 The Labour peer Toby Harris has been appointed as the next chair of the Fundraising Regulator. A statement from the regulator today said Harris would take up the three-year role on 1 January from Michael Grade, who became its first chair three years ago. Harris, who was made a life peer in 1998 as Lord Harris of Haringey, has a "proven record in public service", the regulator said, having worked in organisations with responsibility for policing, consumer affairs, local government services and healthcare. A member of Haringey Council for 24 years, Harris was the local authority’s leader between 1987 and 1999. He spent six years until 2015 as chair of the Freedom Charity, which educates young people about forced marriage, and was a trustee of Safer London, which works to prevent gang violence, between 2004 and 2008. He was also chair of the grant-maker the Wembley National Stadium Trust, which distributes funds from Wembley Stadium, from 1996 until this year. He has chaired National Trading Standards since 2013 and the Independent Reference Group at the National Crime Agency since 2017. In 2014, he led a government-commissioned review into suicides by young people in prison and in 2016 London Mayor Sadiq Khan asked him to conduct a review of the capital’s readiness to respond to a major terrorist incident. Harris will be paid £500 a day for one day a month. The regulator said in a statement that Harris had been appointed after an "exhaustive, competitive and public process" led by its board with support from the Labour peer Baroness Pitkeathley and Lord Leigh of Hurley, a Conservative. Margaret Moore, vice-chair of the Fundraising Regulator's board, said Harris's "rich and varied experience in the public sector and as chair of a wide range of organisations convinced the appointment panel of his eminent suitability for the role". Harris said: "I very much admire the vital work the team at the regulator have tirelessly been carrying out over the past few years and am looking forward to supporting the board and its staff in ensuring that fundraising is carried out transparently and ethically." Grade said his time at the regulator had been "immensely enjoyable". He said: "I am proud to have been with the regulator since it was set up and to have been involved in landmark moments such as the launch of the much-needed Fundraising Preference Service."